N has been walking around the house randomly clipping clothespins to any scraps of paper he could find. And when he saw the cat and yarn addition clip cards I made for E, he tried to work with them the best he could. 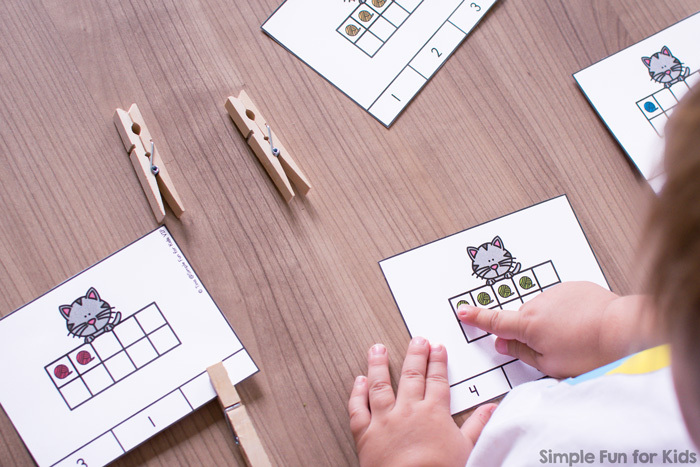 I took the hint and made him a counting version: Cat and Yarn Ten Frame Counting Clip Cards for numbers 0 – 10. 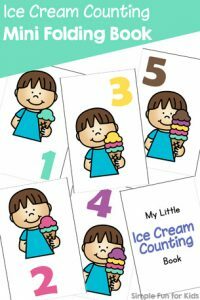 The printable covers numbers 0 through 10 and includes one card with instructions. 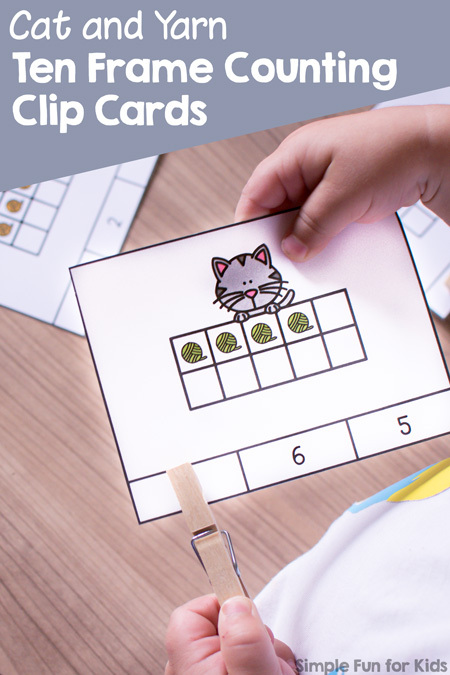 Each of the 11 clip cards shows a cute cat holding a ten frame with balls of yarn marking the numbers. There are three numbers at the bottom of each clip card. The objective is to mark the number shown in the ten frame. Print the page(s) you want to use, then cut the cards apart at the thick black lines. Provide some clothespins or manipulatives to mark the correct numbers. If you need a black and white version, it’s not included in the free version, but in the VIP version here. Download your Cat and Yarn Ten Frame Clip Cards! Or click here to see this page on my membership site and become a VIP member today to get the membership exclusive printable that includes a black & white version! 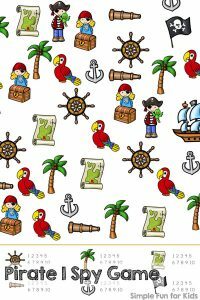 Are your kids working on counting? 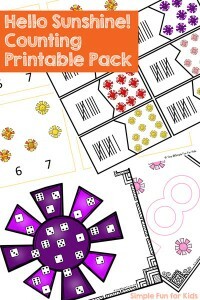 I’ve got the perfect printable pack for you! Are you looking for more counting printables? 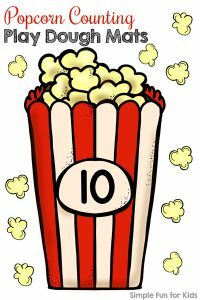 I’ve selected a few for you!